In 2010, Timothy Paine, an entomologist at University of California, Riverside, published an article (1) about the introduction of Australian insect predators of eucalyptus into California. Eucalyptus is native to Australia. It was introduced to California in about 1850 and was virtually pest free until 1983. Since then 15 insect predators of the eucalyptus have been found in isolated locations in California. So apparently biological controls are highly desirable if they are used to eradicate non-native plants and trees. If they are used to save non-native trees, they are verboten, in Mr. Sigg’s opinion. We can’t prove that Australian insects were intentionally imported to California to kill eucalypts. However, if they were it would not be the first time that native plant advocates have used vandalism to eradicate our eucalypts. The California Native Plant Society apparently convinced Mr. Gaar that the trees were a threat to San Francisco’s “natural heritage.” He cut down trees on Mount Davidson and Tank Hill in San Francisco and was sent a bill for $10,996.27 by the Recreation and Park Department. The Bee reported that Mr. Gaar was unemployed and had no intention of paying the bill. Getting caught was apparently the end of that particular method of destroying non-native trees. Native plant advocates then found a more surreptitious method of destroying the trees. They began girdling the trees in the public parks of San Francisco. Girdling is a method of killing a tree slowly. A band of bark is hacked off the circumference of the trunk with an axe or chainsaw. This prevents water and nutrients from traveling from the roots of the tree into the tree. The tree slowly starves to death. The bigger the tree, the longer it takes to die. After girdling the tree, native plant advocates stacked up vegetation around the scar so that it was not visible to the public. Even if the public noticed the scar, they didn’t know what it meant until the tree began to die. By the time the trees started to die several years after the girdling began, about 1,200 trees had been girdled in the parks of San Francisco. 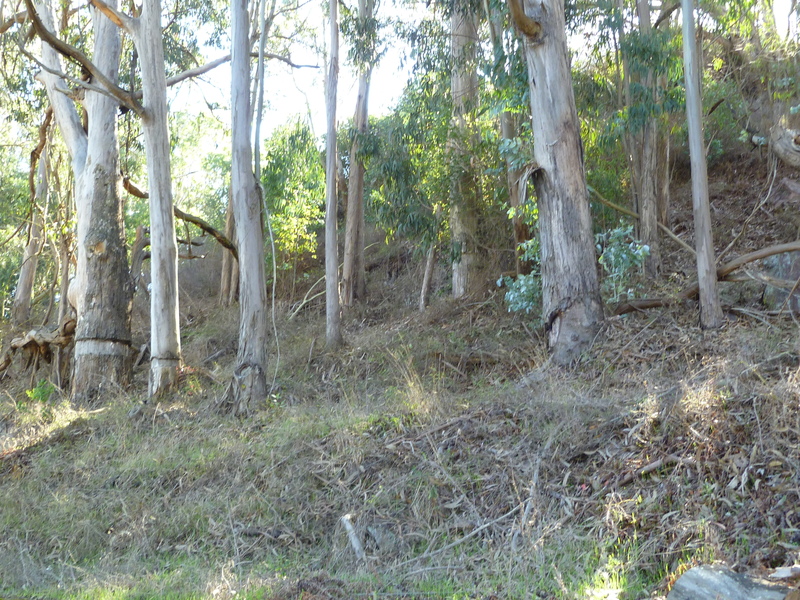 Most of them were on Bayview Hill, and many are still visible on Mount Davidson. According to an article in The Independent, some of the girdling was done by city employees of the Natural Areas Program in the Recreation and Park Department, but much of it was done by native plant advocates, described as “volunteers” by their supporters and “vandals” by their critics. The Independent quotes the head of the urban forestry division of the Recreation and Park Department as saying that trees were also being killed by dousing them with pesticides. There was a noisy outcry when the public figured out what they were doing. The native plant advocates paid a public relations price for their vandalism and they quit doing it. They are no less dedicated to destroying all of our eucalypts. Perhaps they have moved on to even more nefarious methods such as introducing deadly insects. We wouldn’t be at all surprised. One of our more memorable debates with a prominent local nativist was about the plan of the Natural Areas Program to reintroduce a legally protected native turtle to a local park that is heavily forested with eucalypts. We knew that rare turtle requires unshaded nesting habitat within 500 feet of its water source. Providing that habitat to this legally protected turtle would have required the destruction of all the trees in that park. Some of these people will stop at nothing. They are appropriately called eco-terrorists. (2) “San Francisco garden guerrillas axing alien plants in San Francisco,” Sacramento Bee, February 19, 1994. This article is not available free on-line. However, it can be purchased inexpensively from Sacramento Bee Archives.